Cynthia Schoeman is the Managing Director of Ethics Monitoring & Management Services Proprietary Ltd. She is a founding Non-Executive Director of the Ethics Practitioners Association (EPA), and sits on the Investigating Committee of the Independent Regulatory Board for Auditors (IRBA). She has over 15 years’ experience in the field of workplace ethics and governance. She has developed practical tools and services to support the effective and proactive management of workplace ethics within organisations and consults to private and public sector organisations in this regard. Cynthia is a published author in the area of workplace ethics, namely Ethics Can: Managing Workplace Ethics (2014), Ethics: Giving a Damn, Making a Difference (2012) and An Employee’s Guide to Workplace Ethics (2011). 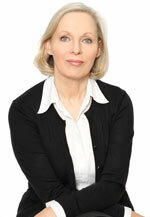 Cynthia’s articles are widely published in business journals and the press. Cynthia is a regular speaker on workplace ethics at conferences and is often interviewed on TV and radio as an ethics expert. Since 2002 Cynthia has lectured on workplace ethics and governance to a wide variety of audiences, from students to senior executives. She is part of the external faculty for South Africa’s top business schools including the University of Witwatersrand Wits Business School, the University of Pretoria Gordon Institute of Business Science (GIBS), the University of Stellenbosch Business School Executive Development (USB-ED) and the University of Cape Town Graduate School of Business. Cynthia has worked as a management consultant focused on leadership and improving performance, and spent time in the corporate world as the HR Director for TWP Projects. Cynthia has a BA from Unisa (University of South Africa) and an MBA from Wits Business School. She is based in Johannesburg, South Africa.